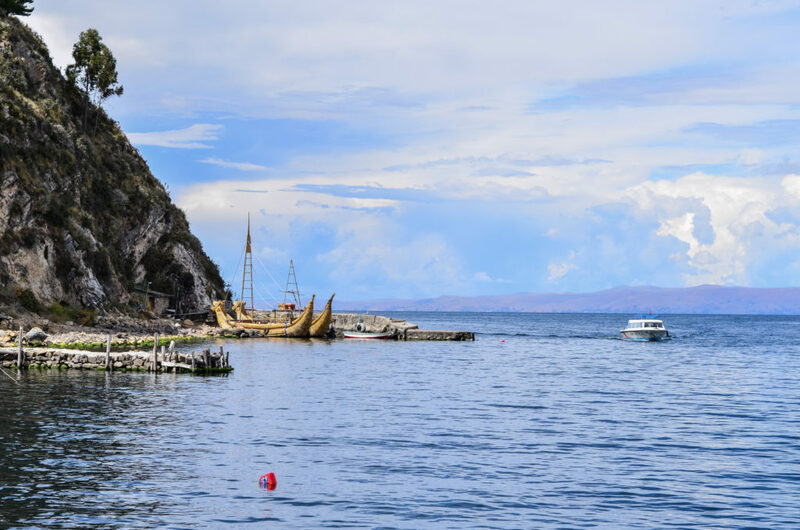 Lake Titicaca is the highest navigable lake in the world and a must-see if you travel to Peru or Bolivia – two countries that divided its geographical “ownership”. Lake Titicaca was nr. 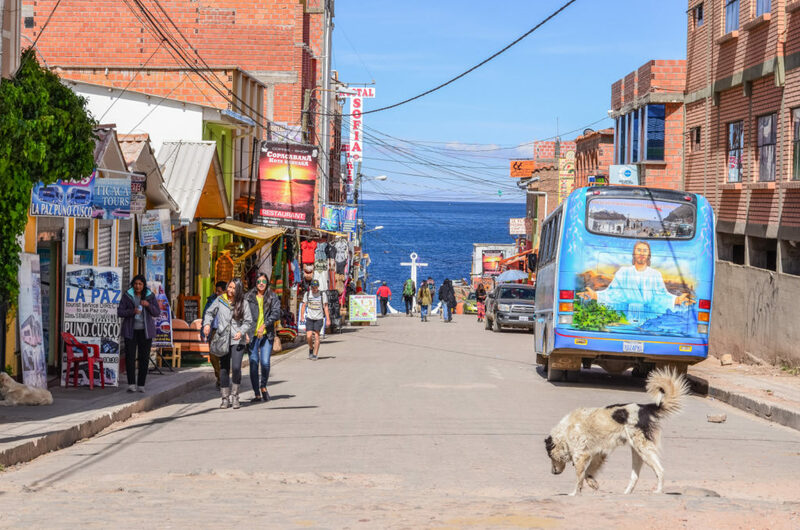 2 attraction on our list while traveling to Peru, although at the end we decided to visit the Bolivian part, accessible from Copacabana – a small village lying in the department La Paz, on the shore of the Lake Titicaca, in the altitude over 3,800 m. In this post, I will tell you why we decided to approach Lake Titicaca from Bolivia and you will also get an idea on what to see and do in Copacabana. 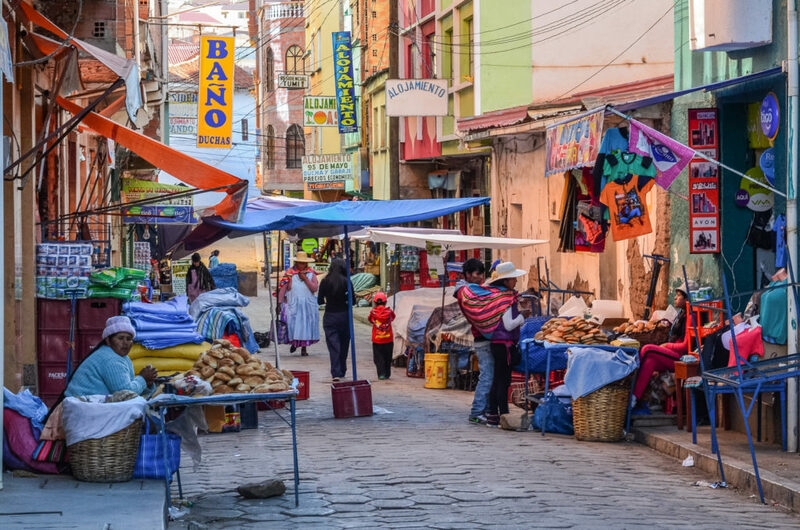 Puno is accessible from Cuzco in 6-7 hours of bus drive. 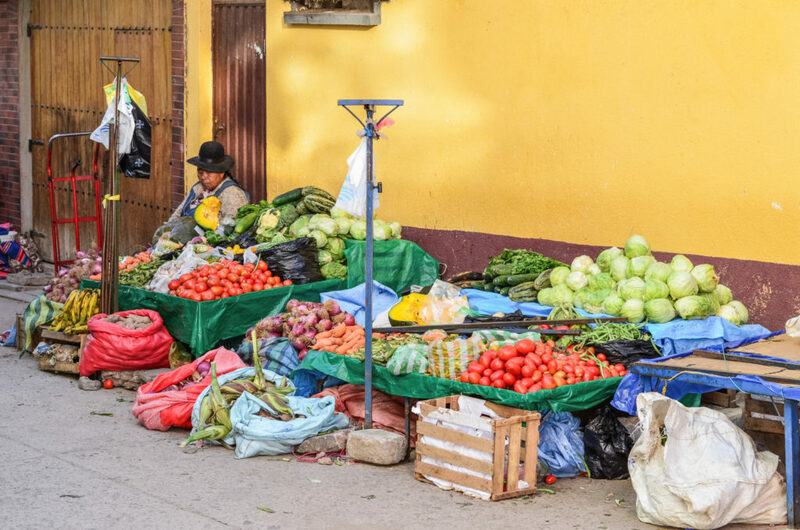 It is a very frequented touristic place and the Peruvians know it. Many people come here to see the famous floating islands and to spend a night with the locals, observe their habits and preserved and unique style of living. 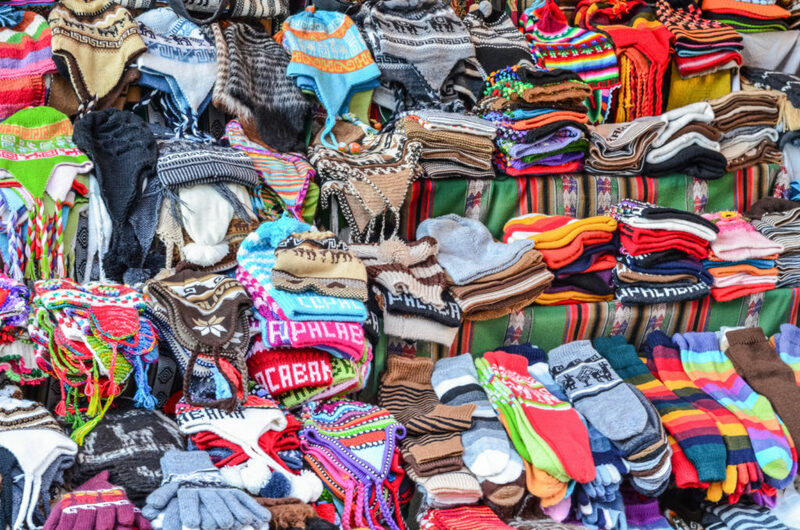 Although for some Peruvians this is pure business, it might still be fun and an interesting experience if this is a reason why you are heading to Lake Titicaca. Copacabana lies about 3,5 hours by bus from La Paz and is said to be less touristic so you don’t feel like in “Disneyland” here. 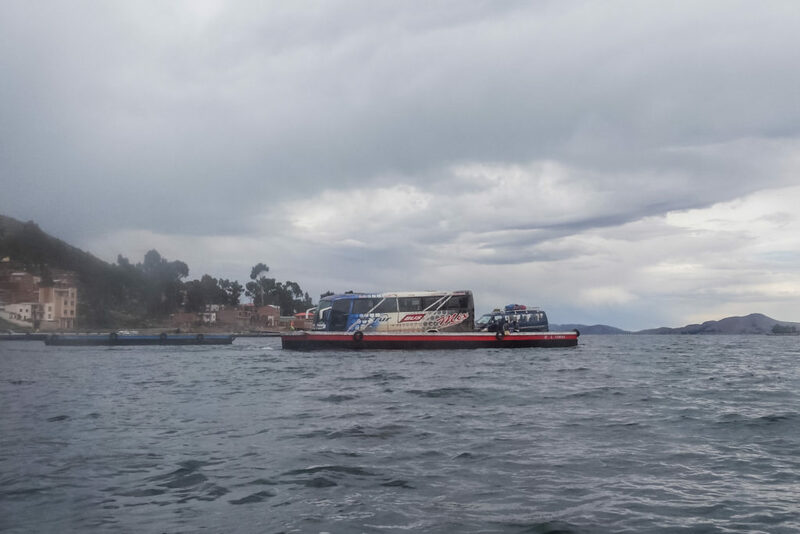 It is also more splendid in terms of natural wonders and somehow we preferred nature to the cultural experience at the Lake Titicaca. 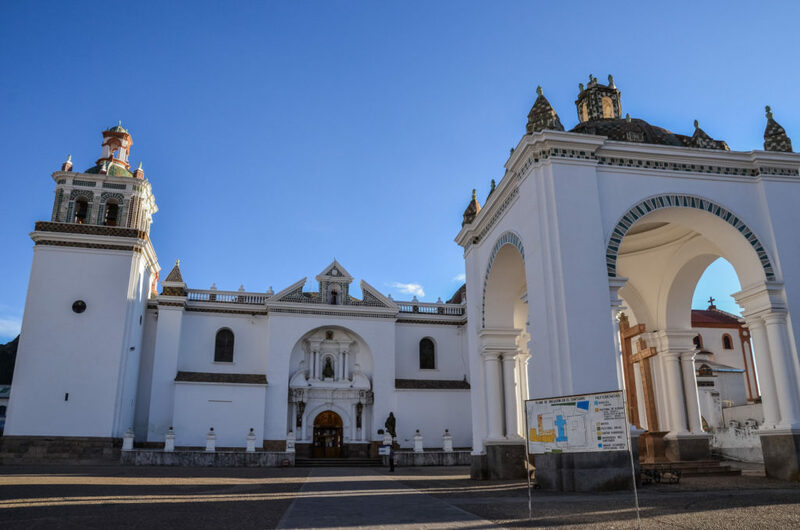 Visit the Basilica of Our Lady of Copacabana – beautifully decorated church where you can see a wooden statue of Madonna from the 16th century. Thanks to this statue, Copacabana became one of the most famous places of pilgrimage in the South America. In front of the entrance, you may notice a statue of Francisco Tito Yupanqui, the author of the wooden statue. 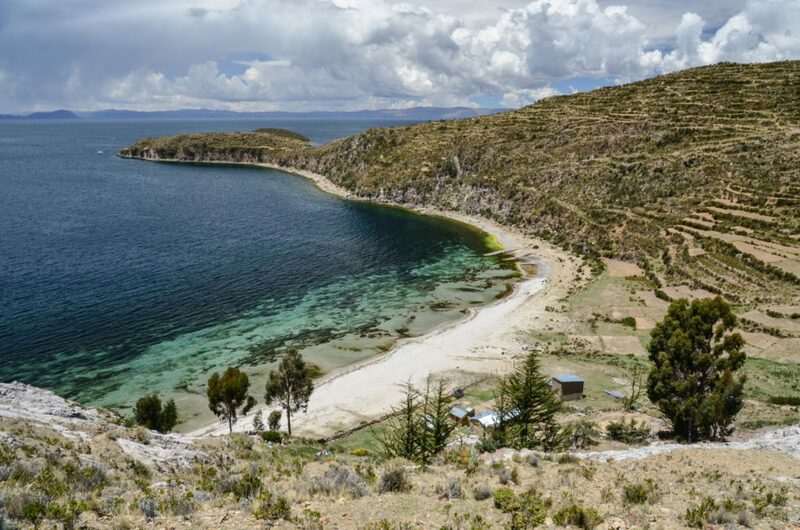 Probably the best activity most people come here for, is hiking the Isla del Sol. 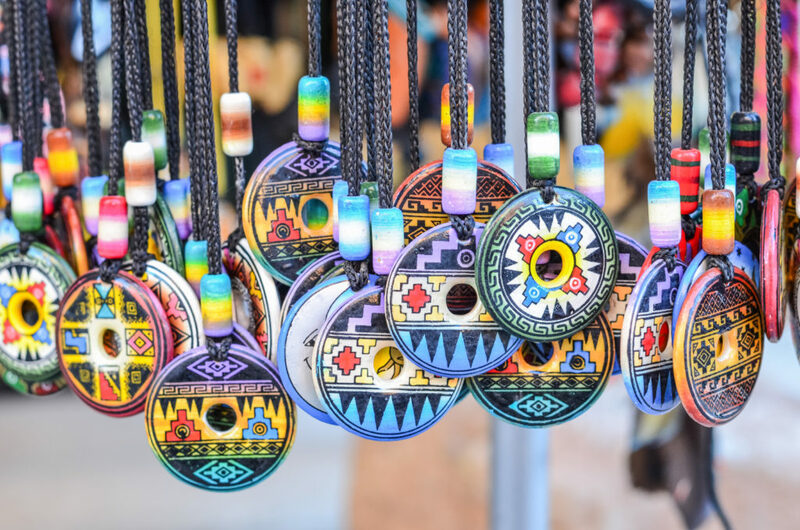 According to the legend, the sun was born on that island and it is also a place where the first Inca came to the Earth. The sacred Inka island lies about 2 hours’ boat ride from Copacabana and you can get the boat tickets in many agencies operating in the town. The boats leave each morning and come back in the afternoon. Don’t forget to take enough water, some snacks, and spare clothes in case of cold weather, sun and rain protection, and some coca leafs for walking at such a high altitude. 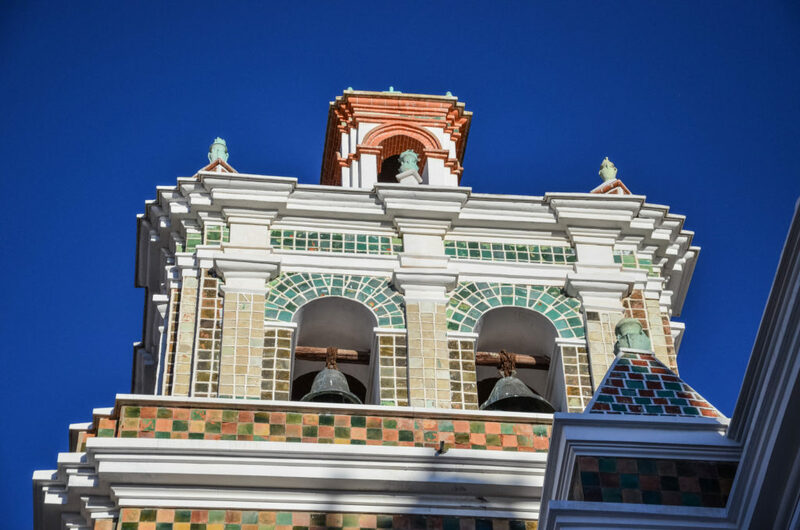 It is also possible to stay overnight on Isla del Sol as there are few accommodations too and this allows you to discover all the interesting places on the island. 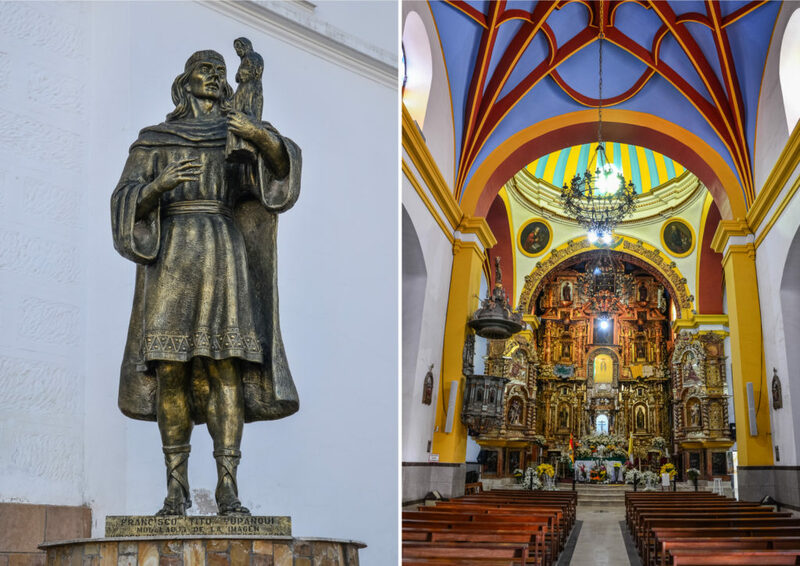 If you aren’t sick from the altitude, take the 20-minutes’ hike up the hill Calvario, officially the ‘Station of the Cross’, to see the whole Copacabana and the Lake Titicaca from a higher perspective. Especially the sunsets here must be amazing! Eat a trout (trucha in Spanish). 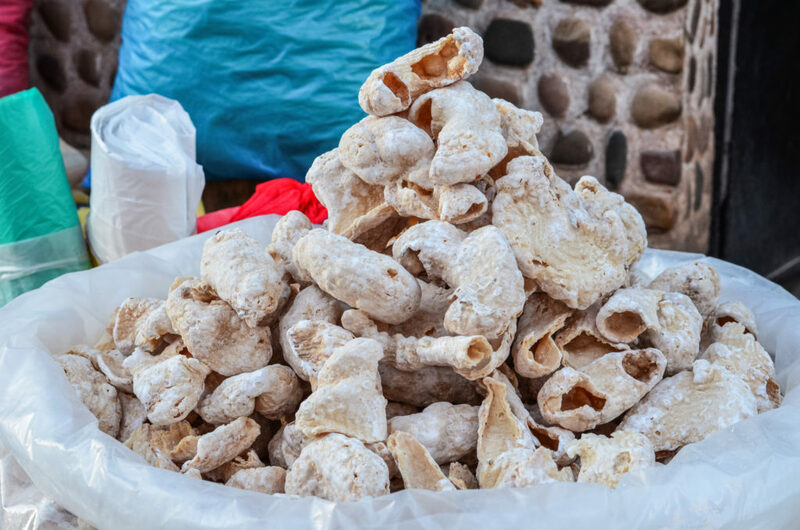 This fish is one of the most frequently eaten food around the Lake Titicaca. People eat it with potatoes or quinoa. Nevertheless, beware that the trout is being eaten during lunch time when the fresh ones arrive. I found interesting to just observe the people in Copacabana. 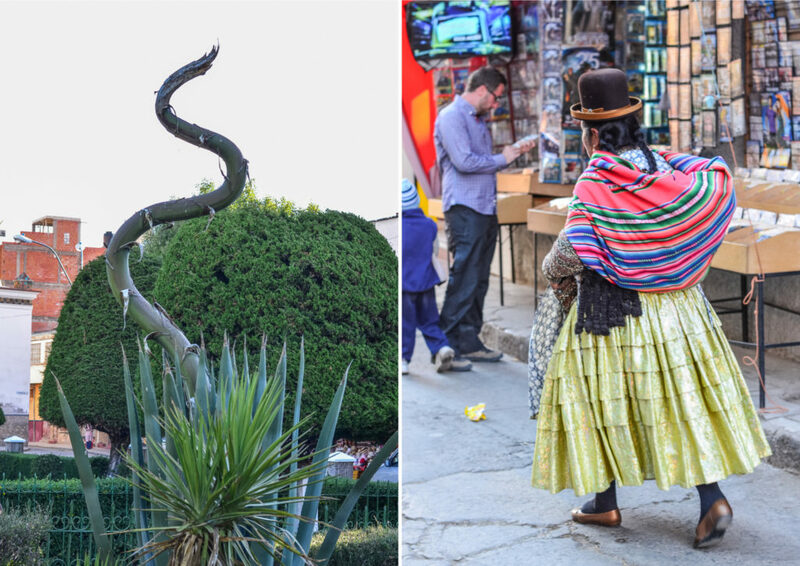 In the past, the town used to be a ceremonial center of the Incas. Nowadays it is a place where tourists meet pelerines from the whole country as well as countrymen from the region. 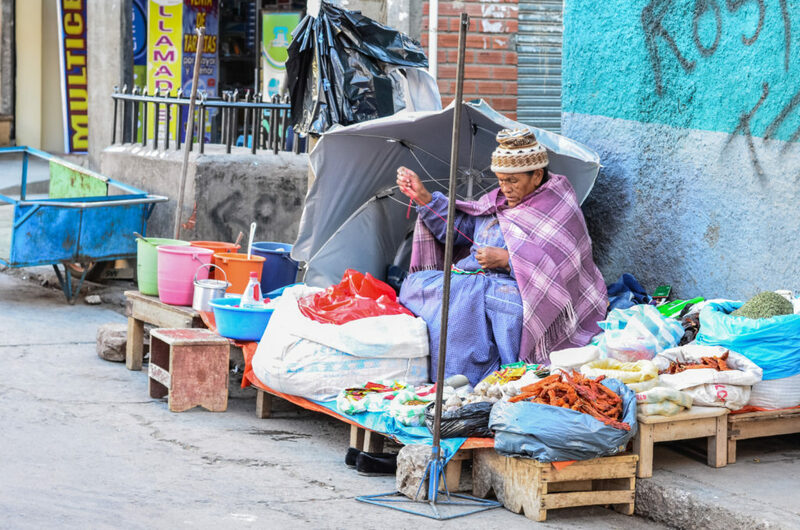 Women wearing traditional clothes sell vegetables, bread, homemade street food and little snacks in the streets. 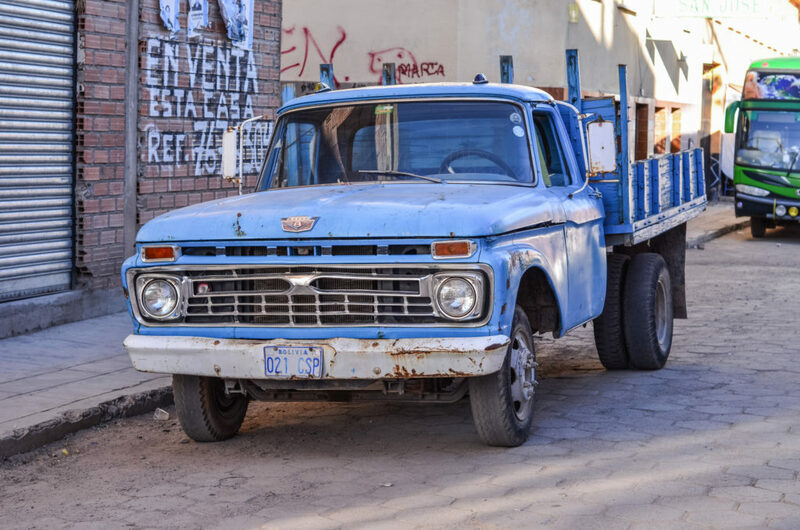 Men usually work in the gardens or in the small harbor and fishery (trout from Titicaca is eaten in the whole region). Dogs run in the streets, looking for food anywhere. 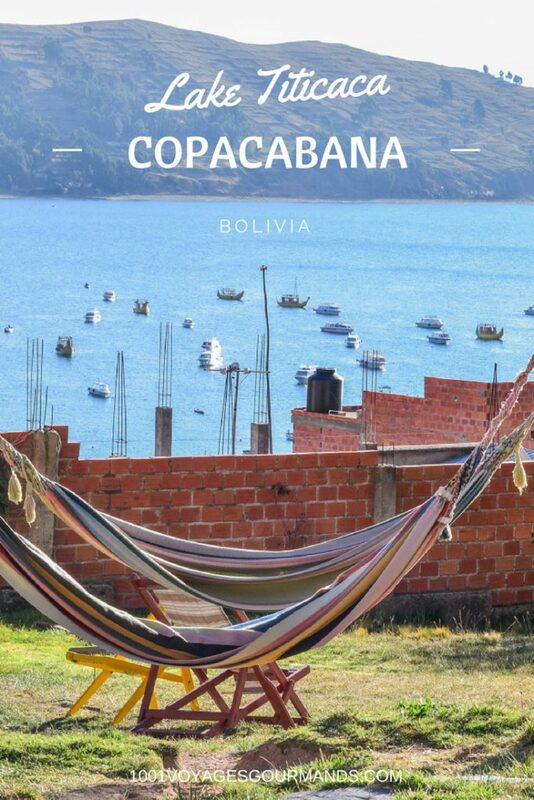 Copacabana lies on a hilly peninsula close to the border with Peru. 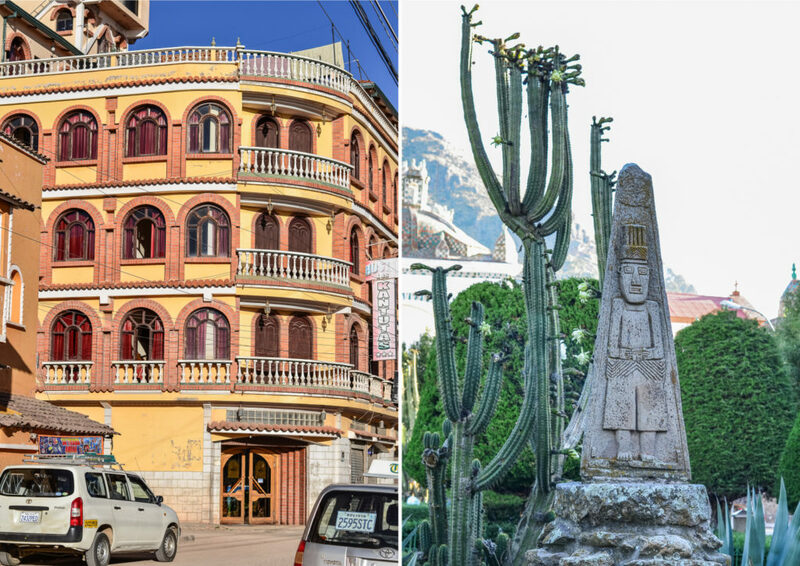 You can approach it either from Puno or La Paz by bus. 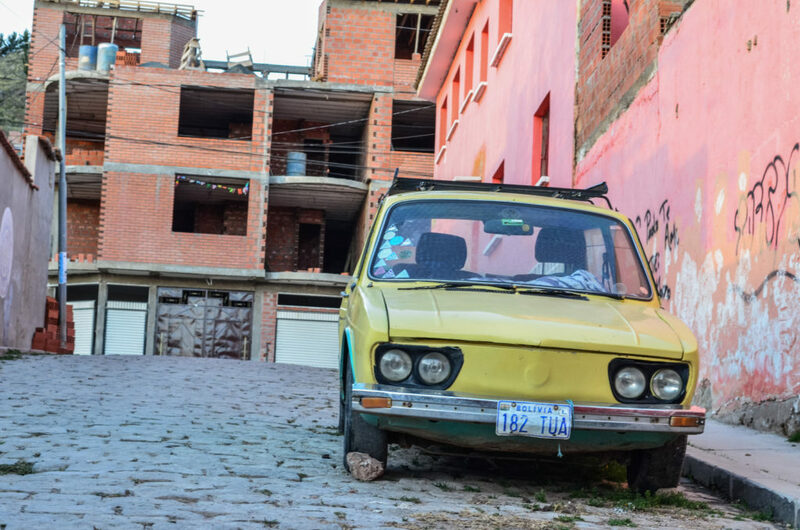 We arrived from La Paz and although the distance between La Paz and Copacabana is only 150 km, the journey took about 3-4 hours due to the bad state of the roads in Bolivia. At one point, we were asked to get off the bus and got into a small boat while the empty bus was loaded on a ferry. Hostal La Aldea del Inca is a modern hostel where each room has its own entry from the common garden. The rooms are nicely decorated and the bathroom is clean. 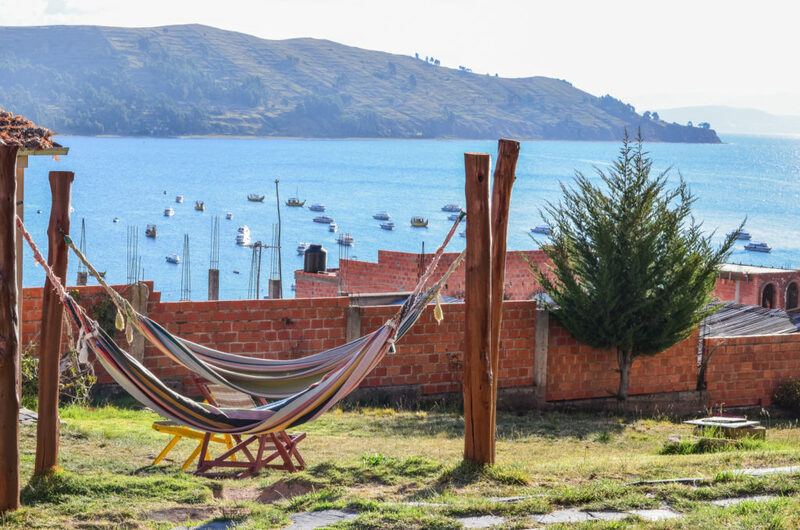 On the garden, there are some places to chill and a beautiful view of the lake Titicaca. 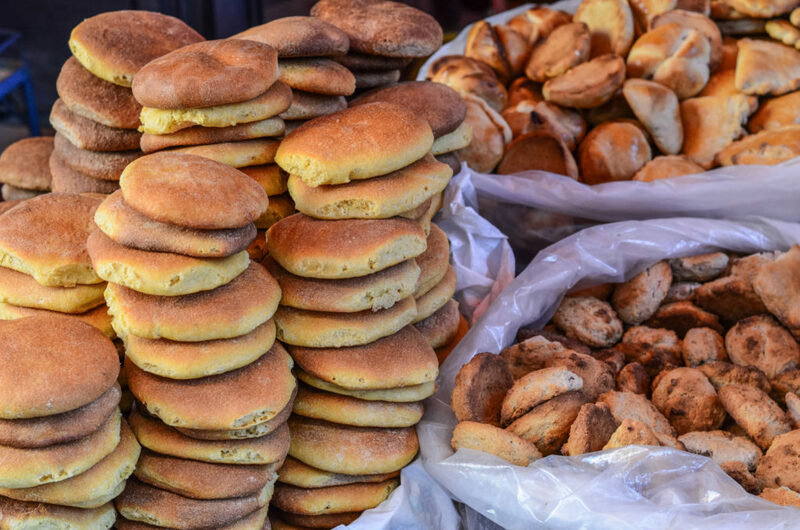 We had one of the best Bolivian breakfasts here – eggs, bread, cheese bread, cookies, cake, fresh juices, maté de coca, tea, milk, yogurts and fruit. What about you? 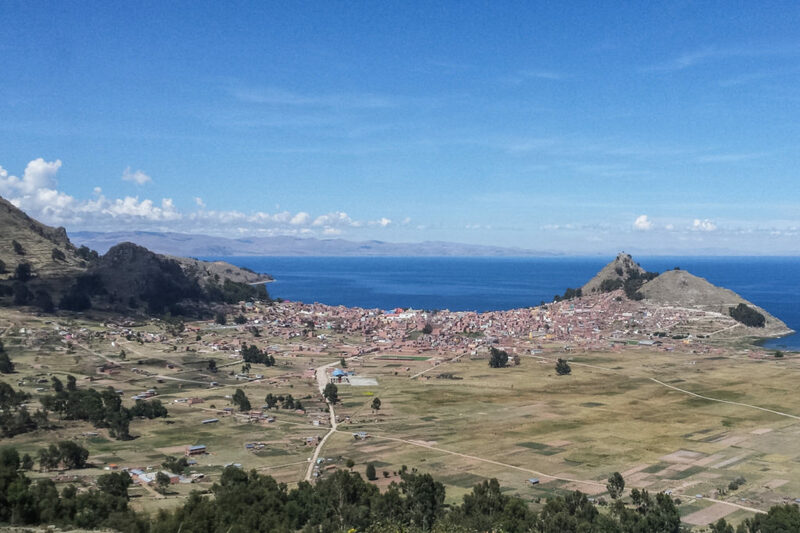 Have you visited the Lake Titicaca? If so, which side? Tell me about it in the below comments! Did you like the post? The share it on social media or pin it for later! Your pictures are amazing, so inviting! 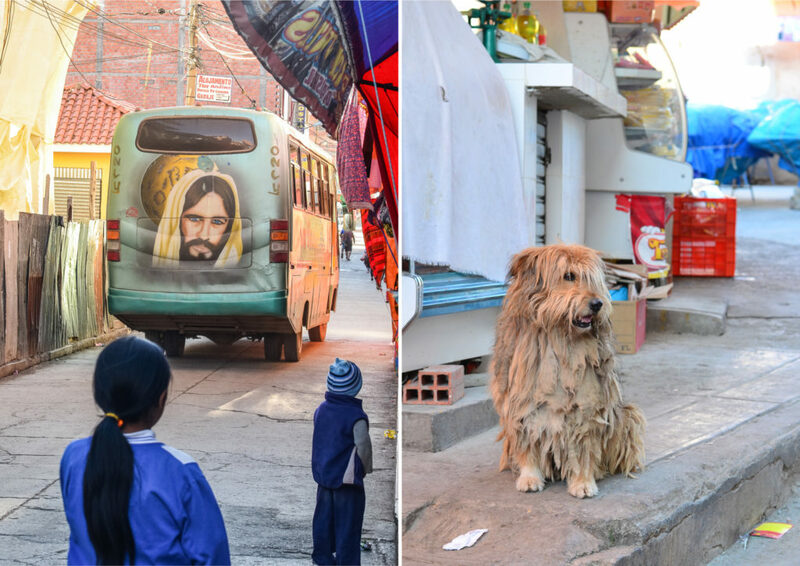 This post makes me think back to my trip to Peru and wish we had time to go to Bolivia as well. I guess another time. Thanks for sharing your experience!